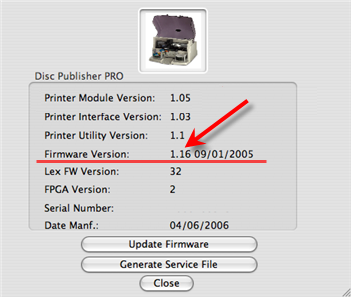 How do I find the firmware version of my Primera product? 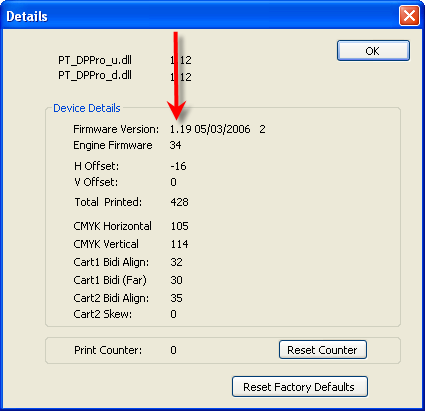 Finding the Firmware Version on a PC. 1. 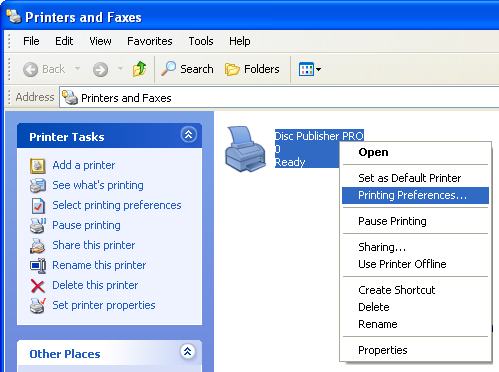 Go to the Start Menu - Choose Printers and Faxes. 2. 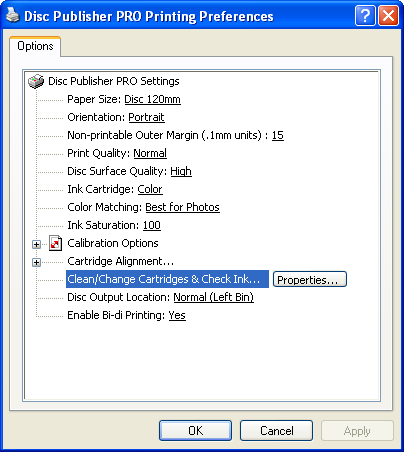 Right Click on the Printer Driver - Choose Printing Preferences. 3. 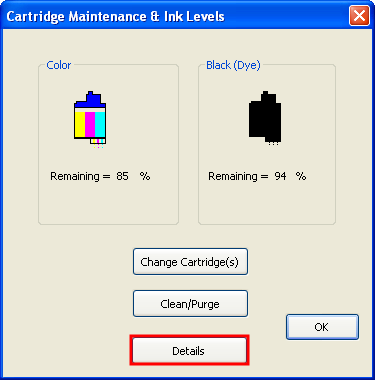 Click on Clean/Change Cartridges & Check Ink... as shown below - Choose Properties. 5. Look for the Firmware Version. 1. 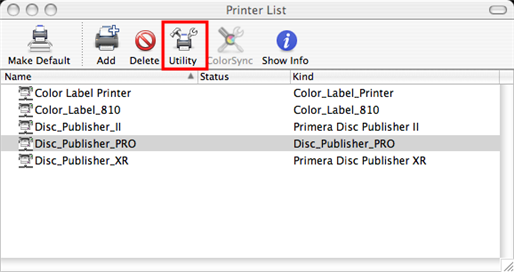 Open the Printer Setup Utility or Print Center (Go to Macintosh HD - Choose Applications - Choose Utilities - Printer Setup Utility). 2. Select the name of the product you want to check. Click Utility. 3. Click the About button. 4. Look for the Firmware Version. My cartridges are empty but the printer driver/ink level monitor says I have some ink left? Error - There is a problem with this windows installer package. A program run as part of the setup did not finish as expected. Contact your support personnel package vendor. 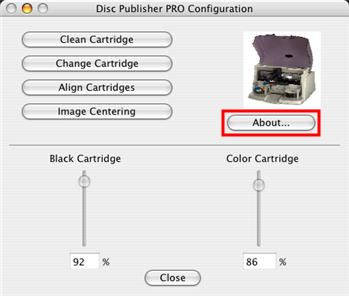 How do I print only using my Composer XL/Pro duplicator to load CD/DVDs into my printer?